Get them in the park next time you pop in! Do you know someone who’d love the lot as a Christmas gift? 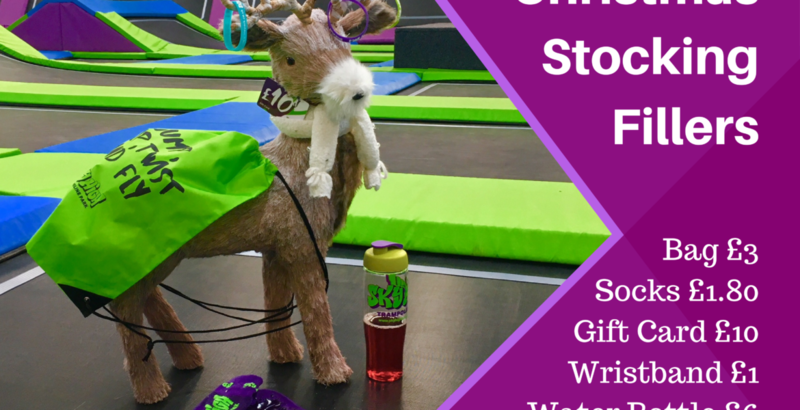 Get them the Sky High Christmas Bundle – water bottle, drawstring bag, gift card, wristband and jump socks for only £15! Buy at the park and if you want it to be a surprise, we’ll arrange delivery for you (delivery is £3.95).